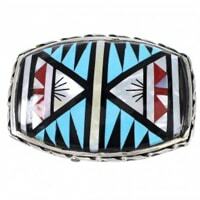 Belt buckles, signature staples for rugged rodeo kings and cowboys, have a somewhat complex and incredibly colorful past. Originally designed as sturdy replacements for suspenders in the early 19th century, belt buckles were primarily used as clasps for leather belts, coming especially in handy for ranch handlers and rangers. But what began as pure functionality has flourished into somewhat of a popular American fad. 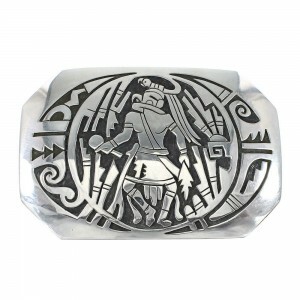 Today, belt buckles have managed to seep into the style of most all kinds of cultures, ages and emerging trends. But while the buckles have managed to amass a more widespread cultural appeal, there’s no doubting their direct tie to rugged, rustic cowboy style. Belt buckles have been used as glimmering trophies for a number of rodeo riders, used to emphasize dominance, power, tremendous strength, and most importantly, victory in the dirt-padded rodeo arena. 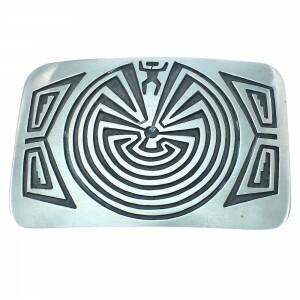 And now SilverTribe, America’s premier carrier for stunningly classic and eye-catching southwest-inspired jewelry, is proud to announce the release of our revered collection of sturdy, statement-making belt buckles for the man with both a cowboy demeanor and sense of style. When it comes to the ways we associate belt buckles, it’s not too surprising to lump “ranch handler”, “cowboy” and “ruggedness” into the description. But while belt buckles remain a signature accessory for any cowboy, rodeo or bull-rider, buckles have begun to seamlessly transcend those stereotypical barriers that used to define it several decades ago. 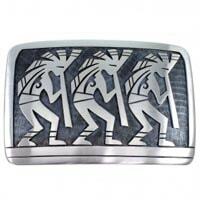 Today, belt buckles clasped on the belts of the young and old and of men and women. And they’re being seen adorned on individuals residing on both ranches and in sky-high urban sprawls. For women, the personal statement emitted from wearing a belt buckle tends to fall into a number of descriptive categories. From an edgy, rocker-style silver plate decorated with tiny jewels, to an earthy, rustic buckle adorned with flowers, each piece accentuates a particular personality and style. 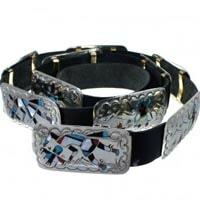 And of course, belt buckles have seamlessly transitioned onto women’s belts in the country/ranch scene. As fashion starlet Julianne Hough popularized in the recent remake of Footloose, rocking a country-inspired, feminine belt buckle can turn more than a few heads on the line dance floor. And in terms of age, buckles seem to show now boundaries or limitations. From the very youngest trendsetters rocking a pair of sturdy jeans, to some of the ‘ol western cowboys from decades past, belt buckles continue to make a highly personal statement of self. However, the trend has (and continues to have) a deep and rich past with cowboys and rodeo kings. In a way, belt buckles have become a cowboy-inspired, cultural phenomenon, popularized by the likes of rugged lone riders like John Wayne in early western films. As a western wear staple, belt buckles show no signs of teetering off or finding their way out of the rodeo arena and in authentic American style. 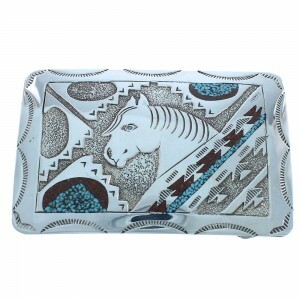 So long as there’s a job to get done, there’s a sturdy hand – and sturdy belt buckle – to help. 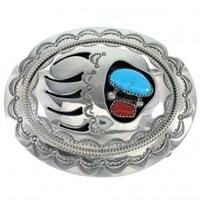 Explore our vast array of sturdy belt buckles today, and receive FREE shipping on each purchase. 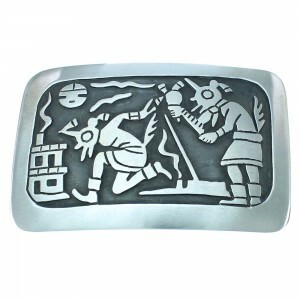 There’s no doubting the classic and authentically American appeal behind all of our sturdy, sterling silver belt buckles at SilverTribe. But while a traditional silver plate tends to be the most common form of a belt buckle, the kinds of belt clasps contained within our extensive vaults are deep rooted in a rich, rugged western-inspired past. All of the buckles found in SilverTribe’s sterling silver inventories come dipped in a vat of rustic, rugged western style. And they’re carefully sprinkled with some of the southwest’s most prized and captivating hues and precious gems. All of the buckles contained within our vaults are molded sterling silver. Sterling silver, a closely concocted metal hybrid, is a mixture of pure, soft silver and various other alloys. Pure silver, as lustrous and shiny as it may be, is infamous for acquiring quick scratches and dents. But sterling silver jewelry and accessories, on the other hand, has been revered across societies for its bull-like durability and incredible, luminous sheen. And when combined with some of our most precious and brightly-hued gems and jewels, sterling silver provides the perfect canvas for a naturally bold contrast. 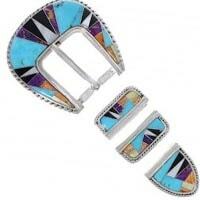 Turquoise is arguably the most sought-after stone contained within our southwest accessory and jewelry collections. Said to bestow a number of spiritual and invigorating qualities within its wearer, turquoise is both boldly beautiful and spiritually enticing. But the sky-blue stone is merely one of the rich colors contained within our jewelry pallet. From incredibly deep corals to piercing opals to mesmerizing onyxes as dark and mysterious as the desert night sky, all of the naturally invigorating colors contained within the rugged southwest landscape are used as inspiration for our sterling silver buckles. 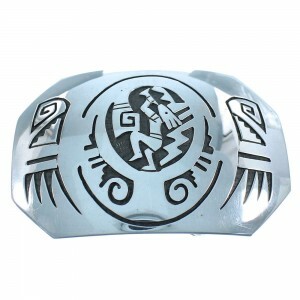 While the inspiring colors contained within our belt buckles are truly something to be prized, they’re not the only precious crafts molded by SilverTribe’s talented artists. Be sure to explore our vast array of bolos, watches, necklaces, earrings, rings, bracelets, pendants and pins for your sterling silver collection. 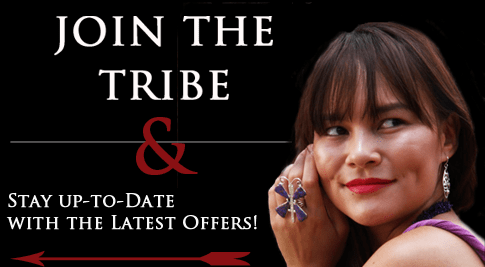 And to become eligible for a series of exclusive sales, rewards, giveaways and promotional offers, be sure to sign up for SilverTribe’s mailing list. With a few clicks of a mouse, and for no cost to you whatsoever, you can receive drastically reduced prices on already-marked down precious southwest gems. Begin your southwest-inspired style search and shop with SilverTribe today.